DEGUSTERIA DECASA It is easy to feel the adventure in the use of colour and the choice of making the interiors interesting and varied. A creative use of space that affects all senses. 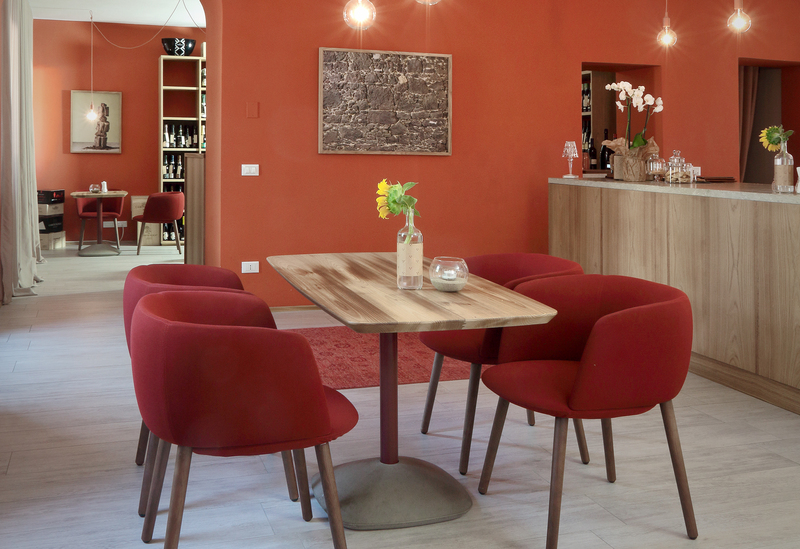 Its warmth confirms how furniture has become a critical element: customers come to dine, experience the local traditions and relax in a cosy environment. 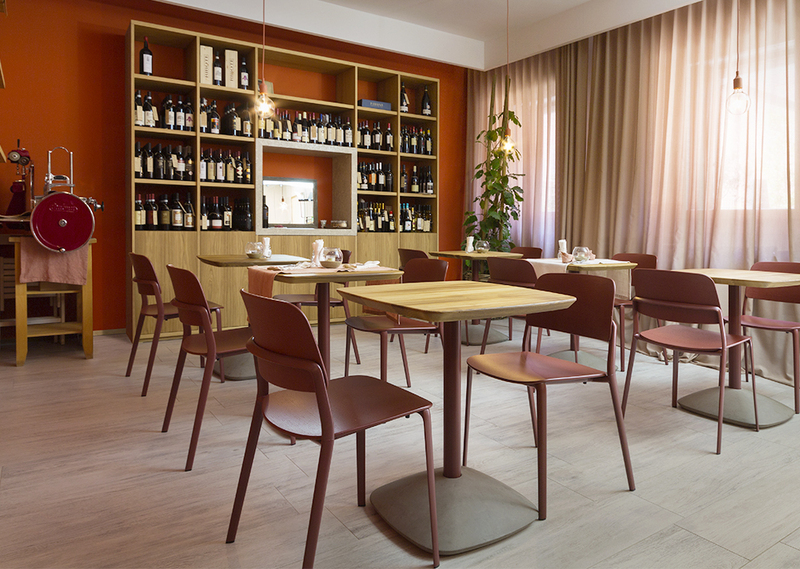 The interior design transports the diner to a kind of space where a cosy and fine atmosphere plays a leading role. Maxdesign Betty, Betihna and Appia are used throughout the different rooms where design and eye for detail define the whole area. 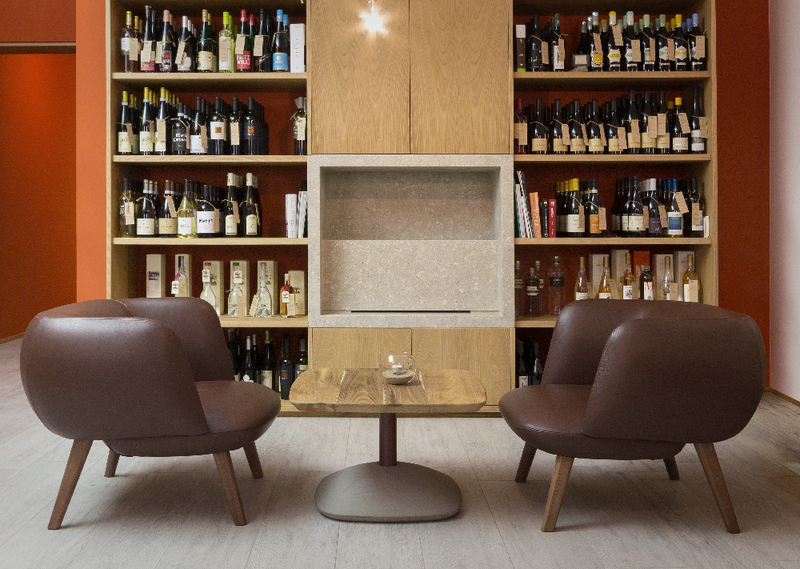 Decasa Degusteria has been designed by the Italian design studio based in Treviso, OAF Design. Project by Warm and Wood & OAF Design. This entry was posted in News on %A %B %e%q, %Y by Debora Tonini.